We are writing to you about a matter of great seriousness. The situation of Romani people in the Czech Republic is critical. According to the results of all public opinion polls on this issue, the majority of our country is so saddled with strongly anti-Romani prejudices and sharply anti-Romani attitudes that antigypsyism has become a mainstream opinion here. Romani people are discriminated against in housing, on the labor market, and in other areas of their lives. The Czech school system is segregated. Romani people in the Czech Republic are facing racially-motivated attacks and violence. During the past few years, Romani communities have been targeted by hateful anti-Romani demonstrations and marches which often become violent and have grown into attempted pogroms on more than one occasion. Not only do the followers of neo-Nazi, ultra-right movements join these demonstrations, but so-called ordinary citizens get involved in them as well. 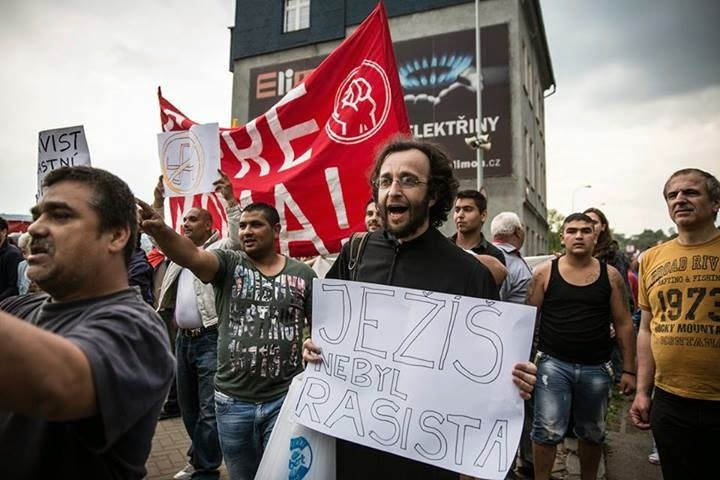 Antigypsyists espousng anti-Romani hatred can be found in every single Czech political party, from the left to the right, and politicians strive to win the electoral support of the majority of voters who are antigypsyist. Social integration policy and its tools have completely failed. Enormous sums of money designated for solving the problems of Romani poverty and anti-Romani racism and for achieving Romani integration, often coming from European Union funds, have been spent unsuitably and have had no real effect. The situation of Romani communities here is constantly deteriorating day by day, month by month, year by year. One component of this critical state is the denial – or at a minimum, the depreciation – of the genocide of the Romani people that took place here during the Second World War. Romani people were rounded up by the Czech Police and placed in concentration camps where they were murdered and tortured. The guards of these death camps were not German Nazis, but Czech gendarmes. The headquarters of the Czech Criminal Police administered these camps. The toughest prisoners who managed to survive the hell of the Czech death camps were handed over to the German SS, transported to the extermination camp of Auschwitz II – Birkenau, and gassed to death. One of the Czech concentration camps for Romani people was located near the village of Lety by Písek in South Bohemia. In 1973, the Communist government of Czechoslovakia built a large-capacity, industrial pig farm precisely on the site of the former camp, i.e., at the site of the genocide of the Roma. That farm stands to this day at this place of Romani genocide and is still in operation. Pigs wallow in their own feces on the spot where Romani people were murdered and tortured. This happened despite the fact that Czechoslovakia signed the Helsinki Accords after the end of the Second World War, pledging to turn genocide sites into places of commemoration and reverence. After the fall of communism, when the conditions would have been ideal, the state-owned pig farm was not torn down, but was sold by the state to a commercial company. During the following years various Czech governments have regularly faced pressure from various international institutions to buy the pig farm, tear it down, clean away the pig feces and erect a dignified memorial to the victims of genocide at this site. Many Czech governments have promised through their ministers – and even their Prime Ministers - to remove the pig farm. That has not yet happened and there never has been the slightest real political will to do so. Such promises, in our opinion, have served only to quiet international human rights institutions. 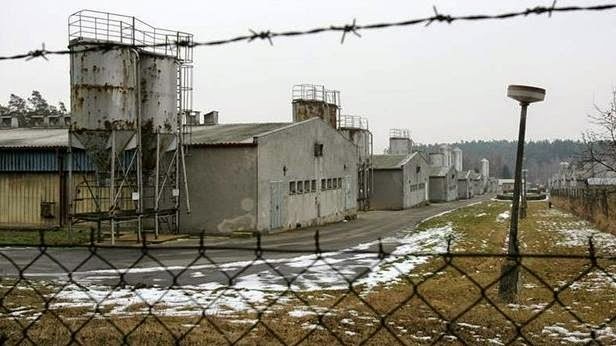 In the end it has always been said that the Czech state does not have the money to buy the pig farm now running on this genocide site. Can something like this be measured in money? According to statements by the owner of the farm, he has never been asked what price he would sell it for. We can’t know how much it would cost to buy it, but apparently what we do know for certain is that we don’t have the money... . It would, however, be very easy to address this current scandalous state of affairs. We have learned that the pig farm at this site of Romani genocide is a recipient of EU agricultural subsidies. Without those subsidies, the farm will lose money and will go out of business in short order. We are therefore asking you to halt the EU agricultural supports for the industrial pig farm at Lety by Písek. Stop paying for and supporting the raising of pigs at this Romani genocide site. This farm is only still standing at this site of genocide because of your financial support. If you stop supporting it financially, it will go out of business soon. The existence of this industrial pig farm on this site of the genocide of the Romani people is a disgrace to us all and a symbol of the position of the Roma not just in the Czech Republic, but in Europe as a whole.